As a growing favorite, Restylane is one of the few dermal fillers approved for both lip enhancement and the treatment of facial lines and wrinkles. Comprised of non-animal based clear hyaluronic acid, volume and fullness is added to lips and skin through injections. When injected beneath the skin’s surface, Restylane gel integrates into the dermal tissue, binding to water molecules. While this process maintains volume, the body’s natural mechanisms decrease volume over time. Even so, Restylane has relatively long-lasting results (up to 18 months) when compared to other dermal facial fillers. As an added benefit, the effects of Restylane are reversible. For instance, if results are too pronounced in the lips or other areas, they can be minimized. 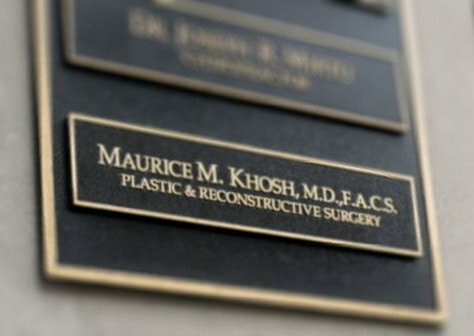 Nationally recognized and dual board certified, Dr. Maurice Khosh specializes in facial plastic surgery as well as nasal, sinus, head and neck surgery. With elegant artistry and meticulous skill, Dr. Khosh helps patients rediscover the natural beauty of their smile and face with Restylane Injections. Contact our office today to schedule your consultation or to discuss your expectations. For a youthful, wrinkle-free mouth and naturally sculpted lips, Restylane allows patients to stay in control of their looks. As the most documented and studied dermal facial filler, FDA approved Restylane fills lines and adds moisture to skin, creating a supple, smooth appearance. While results are immediate and long lasting (when compared to other facial fillers), the effects can be changed, and are not permanent. This is important, because patients are awarded the freedom of choice to change or maintain the effects. Restylane restores fullness to lips, adding to the natural shape of an individual’s smile. Changes can be subtle, such as adding volume to the corner of the mouth or adding volume to the border of the lips. In turn, fullness can be added to decrease the space between the nose and upper lip. In the same way, Restylane adds volume to skin around the mouth and other areas by lifting and supporting its natural structure. As a result, fine lines, wrinkles, and even scars become soft and smooth. With added volume and contour, patients note that they look natural and refreshed. 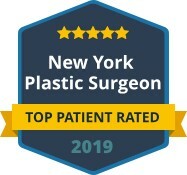 If you are interested in regaining a youthful smile and skin that is rejuvenated and smooth, you can trust Dr. Maurice Khosh for exceptional results and unmatched personal care. 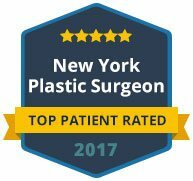 Dual board certified, Dr. Khosh specializes in cosmetic and reconstructive surgery of the face, along with treatment of ear, nose and throat conditions. Thus, Dr. Khosh has expansive knowledge of both function and facial aesthetics. Contact our office today to discuss how Restylane can highlight the natural beauty of your appearance.